Neill Blomkamp Talks "ALIEN" Re-Boot! Definitely the most intriguing recent news is Neill Blomkamp's announcement that he will be bringing his treatment/version of the Alien universe to the big screen. We can imagine the lockdown on this project but the director recently gave an interview & revealed some really interesting background. Hit the jump to check it out. So how did you arrive at wanting to do this Alien movie? And did it have anything to do with having Sigourney Weaver play a supporting part in Chappie? Blomkamp: It did have to do with having Sigourney on Chappie. It’s just something that I’ve always wanted to one day be a part of. Those first two [Alien] films are probably my favorite films ever made. I didn’t know if it would ever happen. I just always wanted to participate in it if I was able to. Over the years, I came up with a story for a film in that universe that I wanted to make. And then when I talked to her about her experience making those films and what she thought about Ripley and everything else, it informed and changed the film I wanted to make into something different. It just sort of stuck with me. A year later, when post-production was winding down on Chappie, I started fleshing out the idea for a film that would contain Sigourney. Fox never knew. I just worked on it when I could. Before I knew it, I had this really awesome film with a lot of artwork and a lot of backstory. And then I didn’t know whether I was going to make it or not. So I just kind of sat on it for a while. You mean, you showed your treatment to Fox and they sat on it? No, Fox was keen from the moment I showed it to them. They didn’t even know I was working on it. I just wanted to make sure that—any big studio film, I want to know that it’s the right choice for me. So I just kind of sat on it for a while. I would imagine after the Halo experience, you’d be wary of joining a big franchise like that. Plus, it seems like you personally get frustrated with the whole Hollywood studio system. So something like this could have the potential to really aggravate you. Yeah, but it feels cool now. So far, Fox seems really, really cool. So I’m really excited. The movie itself is so wicked. So do you have script? A treatment? How far along is it? Mmm, I can’t say! I can’t get into it too much. In terms of the writing, was that concurrent to shooting Chappie in 2013? No, that was way later. It was in post-production on Chappie, the second half of 2014. Anything else we can say about this? Presumably, it takes place after the events in Prometheus. No, no. I want to keep it on hyper-lockdown. It’s early yet. It’s Chappie time. 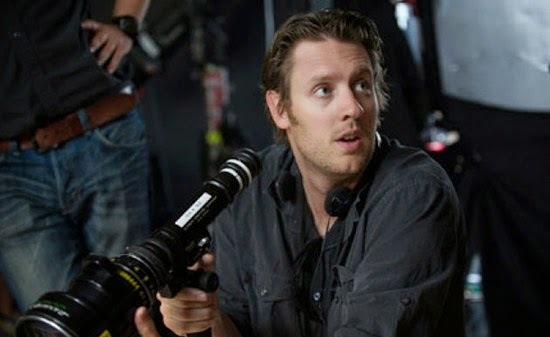 I'm reading: Neill Blomkamp Talks "ALIEN" Re-Boot!Tweet this!